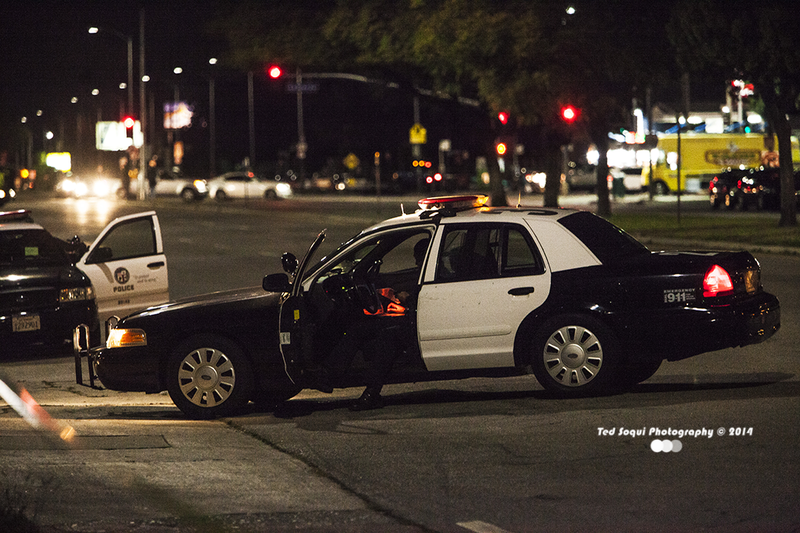 LA Photo: Shooting at LAPD West Traffic Division Building. 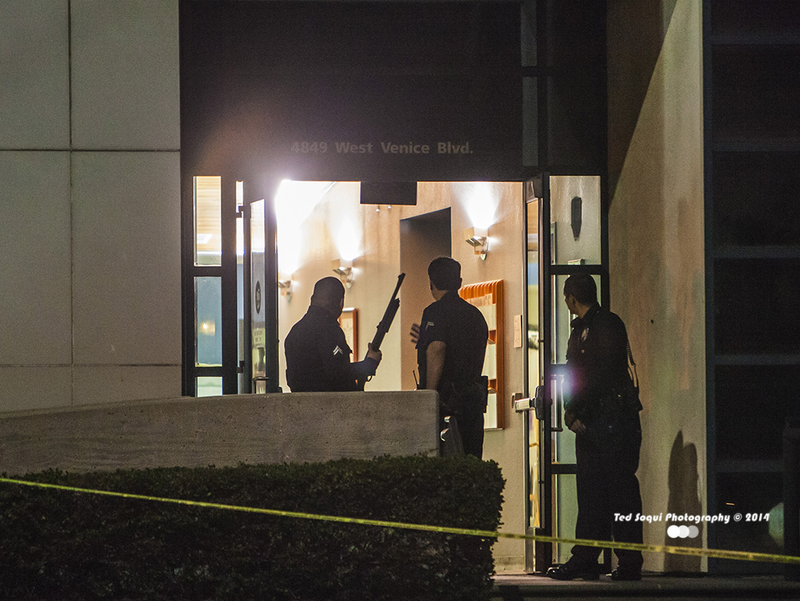 Shooting at LAPD West Traffic Division Building. 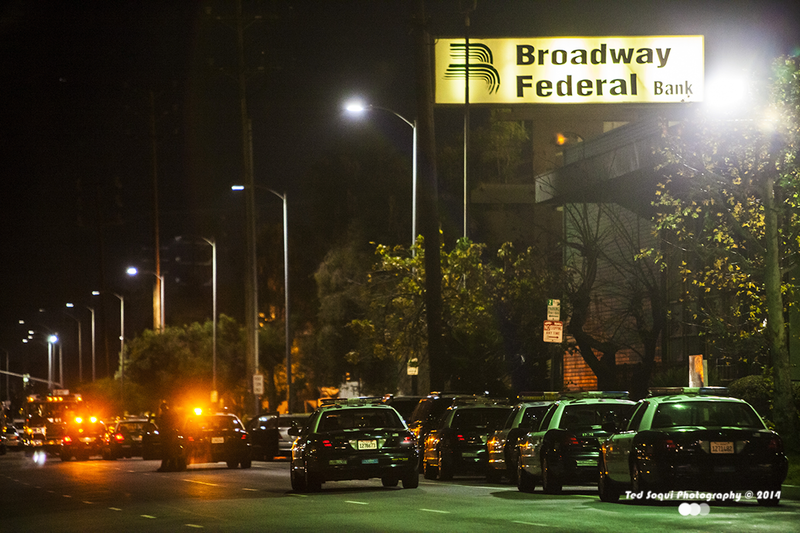 A Los Angeles Police Department officer was shot in the lobby of the West Traffic Division, which shares a building at the LAPD's Wilshire Station, and the suspect was also wounded. The desk officer who was shot seven times and is expected to make a full recovery. The suspect was shot four times and is in critical condition at a local area hospital undergoing surgery. The shooting was the second at the station in 11 months. Two detectives were shot and slightly wounded in a ambush outside the station on June 25. 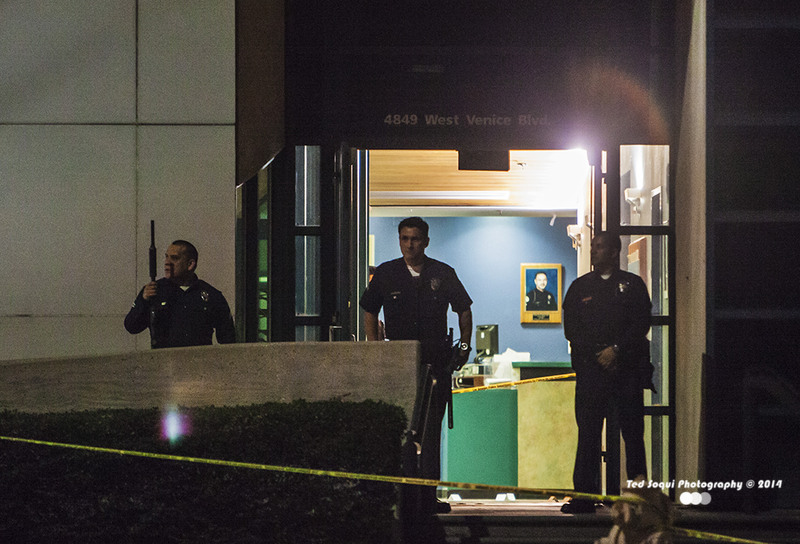 LAPD officers in front of West Traffic Division's door. 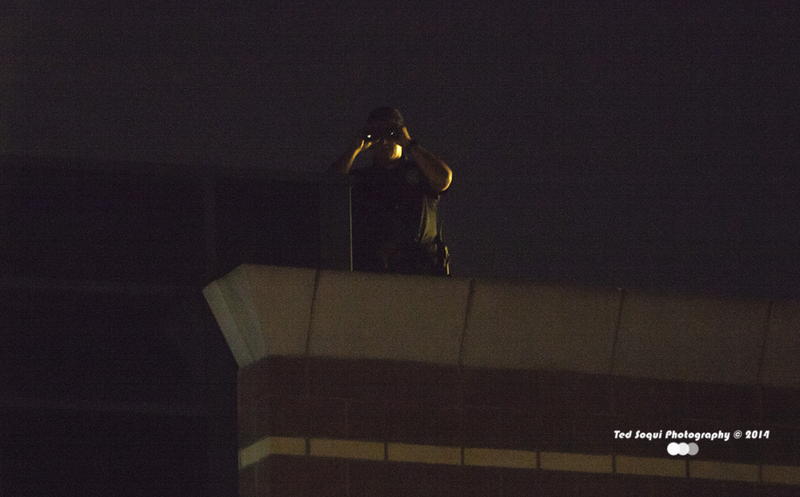 LAPD officer with binoculars atop the West Traffic Building. Omega Man on Wilshire Blvd.